Informatology Ltd, presenters of the Peer Awards for Excellence, has recognized Hughes Network Systems, LLC (HUGHES), the company behind HughesNet, for the company's work with 4-H to promote science, technology, engineering and mathematics (STEM) education. The Peer Award for Excellence in Corporate Responsibility celebrates innovation in corporate social responsibility (CSR). Hughes earned the award in the IT and Telecommunications industry sector category and was shortlisted in the subcategory, “Educating the Community." Since 2014, HughesNet has worked with 4-H, the nation’s premier youth development organization, to empower the next generation through STEM education, delivering forward-thinking programs that promote hands-on education and equal access to STEM learning. 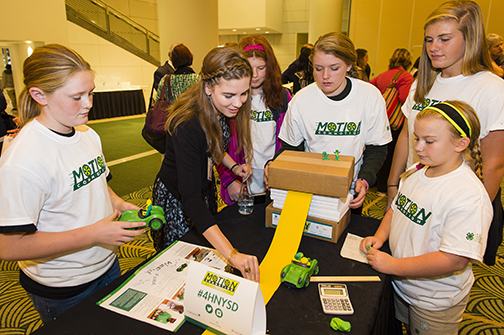 Together, HughesNet and 4-H provide resources such as STEM Lab, a free online hub of STEM activities developed by top public universities and 4-H groups. HughesNet also supports the 4-H National Youth Science Day, which takes place annually in October. Peter Gulla, SVP of Marketing for Hughes, said that the company is honored to be recognized by distinguished peers in corporate responsibility for our commitment to STEM education. Engaging students in these programs inspires Hughes to continue the firm's efforts in building the next generation of leaders and powering a connected future. HughesNet helps bridge the digital divide, bringing connectivity to communities where it’s needed the most. As part of that commitment, it was natural for the company to team with 4-H to ensure that all children, no matter where they live, have access to hands-on, experiential STEM learning. By encouraging kids’ passion for STEM today, Hughes hopes to inspire the science and technology leaders of tomorrow. Stephen Citron, Director of the Peer Awards, said he was once again delighted with the strength, breadth and innovation of this year’s shortlisted finalists. The Peer Awards are proud to provide a platform for these inspirational ideas to be aired among peers in this way.